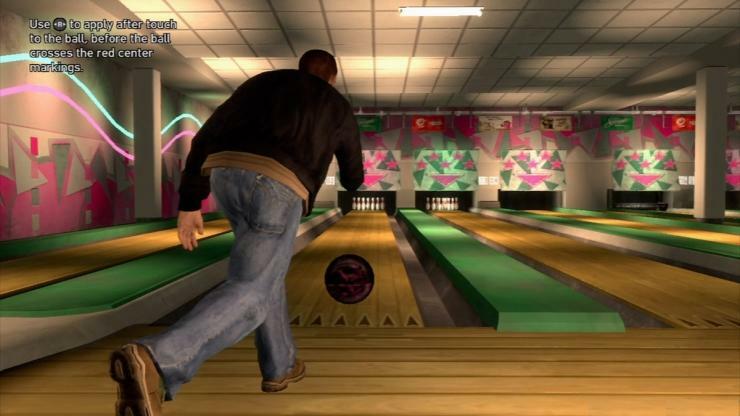 Looking back at 10 years of… GTA IV – Do You Want To Go Bowling? It feels like it was only yesterday that we stepped into the shoes of Niko Bellic and got used to life in the open-world of Liberty City and GTA IV, getting involved in broken promises, corruption, and the shady depths of the criminal underworld. Not to mention that we spent most of that whilst baby-sitting our cousin, Roman. We all remember it don’t we? That poorly timed phone call and the words – “Hey Niko… Do you want to go bowling?” before spamming the thumbs down option to hear Niko give the casual reply of “sorry Roman, I’m a little busy” and then continuing to run from the five-star wanted level we’d been causing the whole time. Whilst it may only seem like yesterday, this week sees the rather brilliant Grand Theft Auto IV reach its 10-year anniversary. So, with that in mind, here’s a look back on the last decade of one of the greatest games of the last generation. After its announcement in May 2006, Grand Theft Auto IV was one of the most anticipated titles ever, and upon its release on 29th April 2008, it cemented itself as one of the most well received games to have ever released on console and PC. On launch day, Grand Theft Auto IV broke industry sales records by becoming the fastest-selling entertainment product in history at the time; US $310 million was picked up on the very first day, before seeing a hefty US $500 million reached by the end of its first week. During that time fans and critics alike had been pouring in the adulation on the game for its exceptional narrative, fantastic open-world design and much improved and overhauled combat system. It was received so well in fact, that to this day it still sits with a slightly higher rating than even that of series fan favourite GTA V – another that has been breaking records since its release – with overall ratings combined bringing GTA IV to a rather impressive 98/100 over on Metacritic, carving its place as one of the greatest games ever released. But why? What made GTA IV so special? Well, that all depends on how you played the game. 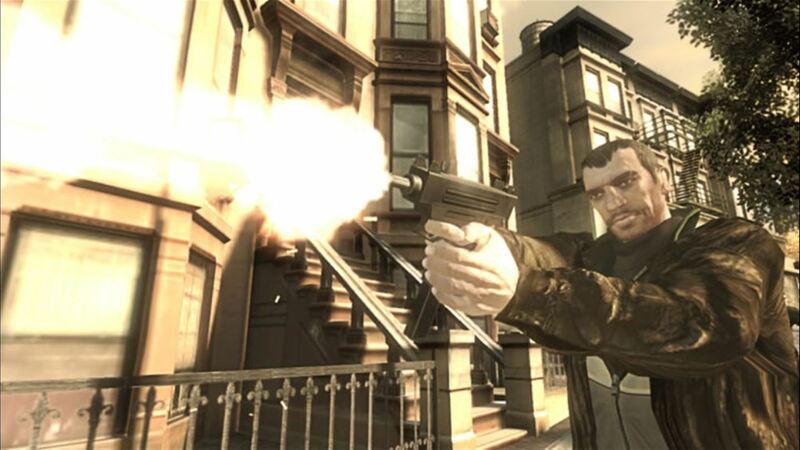 If you were someone who came into GTA IV purely for the story content, then the tale of war veteran Niko Bellic arriving in Liberty City to pursue the American Dream on the back of advice from his cousin Roman would certainly have provided plenty for you to find enjoyment in. If general gameplay was something that you couldn’t resist, then there’s no denying that was also incredible. It had plenty of new features, such as an overhauled combat system, ragdoll effects, improved driving that no longer felt clumpy and a ton of activities including the likes of dating, pool, darts and of course, bowling with Roman. It kept many of us busy for months on end after release, with the absolute carnage that could be caused within minutes of pulling out a weapon or even running into the wrong NPC, proving a massive hit. It even had something for fans of multiplayer too, with multiple game modes available for competitive gamers, as well as a free-roam mode for those who wanted to play with their friends. At the time, online play was still relatively new as well. Sure, we’d had it a few years, but with GTA IV proving to be a game that shifted many players over to the seventh generation of consoles, it was also a time in which many gamers fully got to see the fun that can be had with online play… and boy was GTA IV a fantastic game to experience it with. 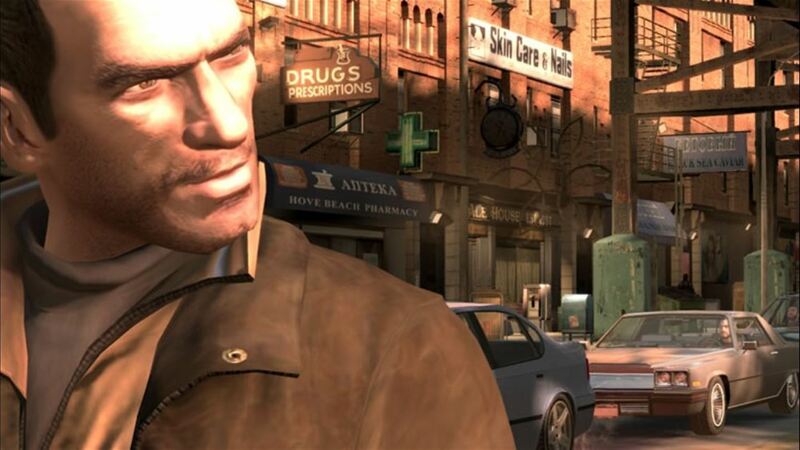 For me though, GTA IV was all about the setting and the environment. It takes a lot to make a game that is morally questionable and utterly beautiful at the same time, but GTA IV was certainly something that managed to do just that. 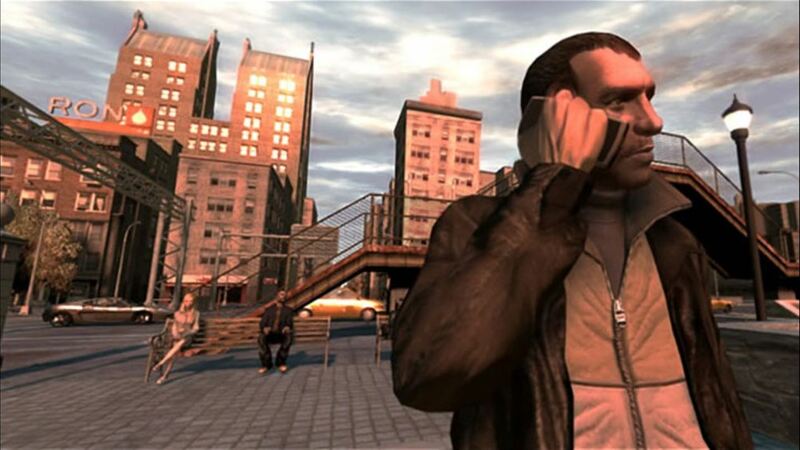 Whether taking a casual stroll through the streets and listening to conversation of the many NPCs that walked on by, or watching on as two individuals fought it out until the police came to arrest one of them, there were so many things that were simply stunning to watch within GTA IV. Even with GTA V trying to take things a step further, there has always been something fascinating about driving through the redesigned streets of Liberty City at the crack of dawn with the sun glaring down on the road and the streets beginning to populate, that has always stuck with me. Something else that added to the unbelievable experience was the classic soundtrack that accompanied the game. From the very first moments of the iconic loading screen, to the in-car radio that blasted out as you flew down through the traffic and into the odd straying pedestrian, the audio options were great. Unfortunately, very recently the soundtrack of GTA IV took a bit of a culling with as many as 32 songs removed from the memorable radio stations, so if you’re one of those who love to dive back in and boot up your favourite radio just as I did, the nostalgic sounds you loved may be there no longer. But with a game as exceptional as Grand Theft Auto IV, it’s hardly going to ruin the experience. Of course, since our dates with undercover cop Michelle turned out to be a such a bad move, we have all been given the chance to jump into the next adventure in the Grand Theft Auto series with GTA V arriving a few years back and bringing with it a vastly improved multiplayer that continues to add content on a weekly basis. With GTA V still topping charts each week, it seems the love for GTA IV is slowly being forgotten, especially in the multiplayer side of things. But there is one thing we can’t forget about, and that’s something not even GTA V has been able to muster up – some fantastic single player expansions. For those of us who splashed the cash on GTA IV all those years ago, there are very few who didn’t also indulge in the additional content that made its way to the game. It was the first time in the series it had happened too. Sure, we had Vice City Stories and Liberty City Stories that brought an expansion-like experience to the sixth generation GTA titles, but GTA IV was the first game to really bring us some actual expansions. For me, The Ballad of Gay Tony and The Lost and Damned episodes were the first time I’d ever bought into the idea of DLC and as someone who had spent many an hour perusing the streets of Liberty City, both episodes brought even more joy and admiration for what an exceptional game was already. Disappointingly, with GTA Online taking off so unexpectedly in GTA V, the originally planned expansions for the latest game were canned, so as far as quality DLC goes, GTA IV may be the only entry to get a decent expansion. After booting up the game in recent days and taking to the streets once more on Xbox One via Backwards Compatibility, it’s fair to say the experience is still just as enjoyable as it was all of those years ago. As for the future of GTA, it’s hard to say where it will go. With GTA Online proving a clear focus for the series in recent years, there’s nothing to say we won’t be given an online-only experience in the future, even by the time GTA VI rolls around. As someone who preferred GTA IV over the latest entry, I’d dare say that looking back on the game, we may well have already experienced the best title we’ll ever see from the GTA series. So, with that said, I’m going to head back to Liberty City again and politely remind Roman once more that I don’t want to go bloody bowling!